Online Application Details for The Cotton Corporation of India Limited COTCORP Recruitment of Field Assistant and Office Staff (General) is given below. 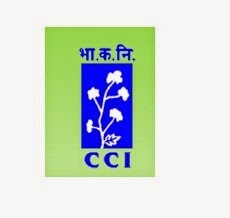 Selection for the post of Field Assistant and Office Staff (General) for job openings in The Cotton Corporation of India Limited COTCORP is based on Personal Interview. Application form and duly attested documents are to be sent to General Manager, The Cotton Corporation of India Ltd., Chandramauli Bldg., Plot No.27, Veer Swarkar Chowk, Samrat Nagar, Shahnoorwadi Road, Aurangabad-431005. In envelope super scribed with 'Application for the Post of Post Name'.